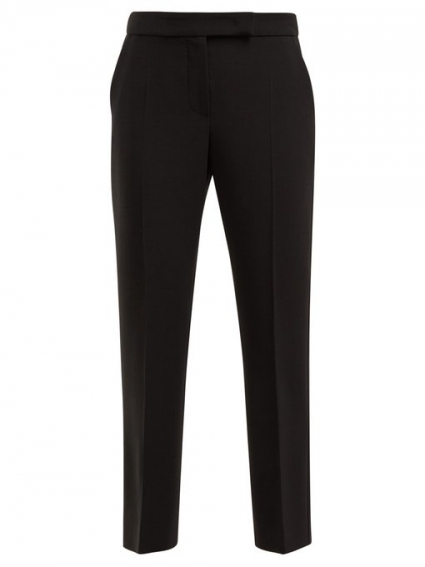 Helmed by British creative director Ian Griffiths for three decades, Max Mara's elegant and timeless style favours minimalist, impeccable tailoring; an aesthetic perfectly captured by these black tapered-leg Ostile trousers. 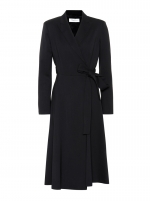 They're crafted from double wool-crepe with a hint of stretch, and shaped with a high-rise waist and flattering cropped legs. Complement the sharp cut with this season's vinyl heels and a shimmering metallic Urbino blouse.